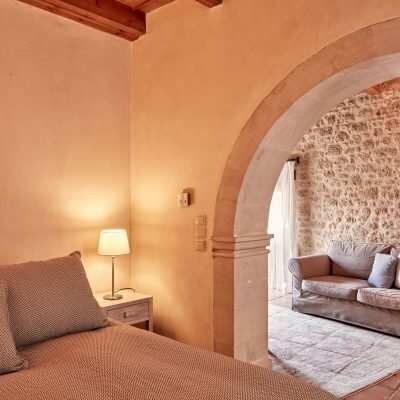 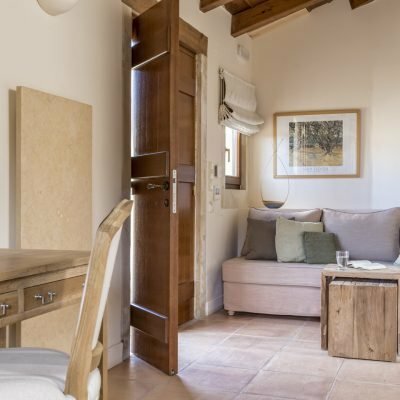 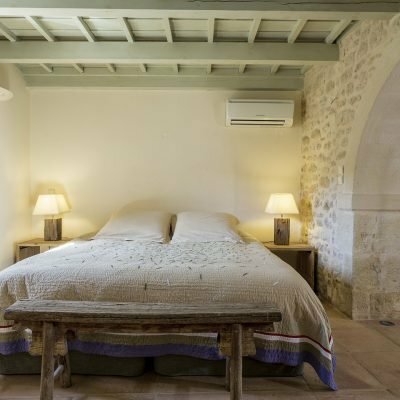 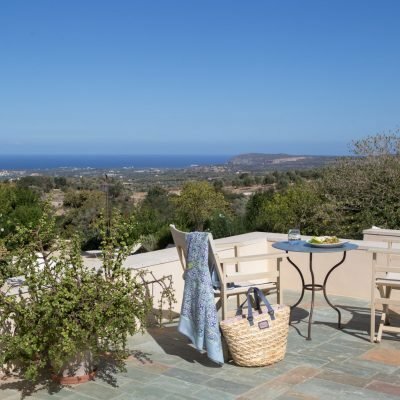 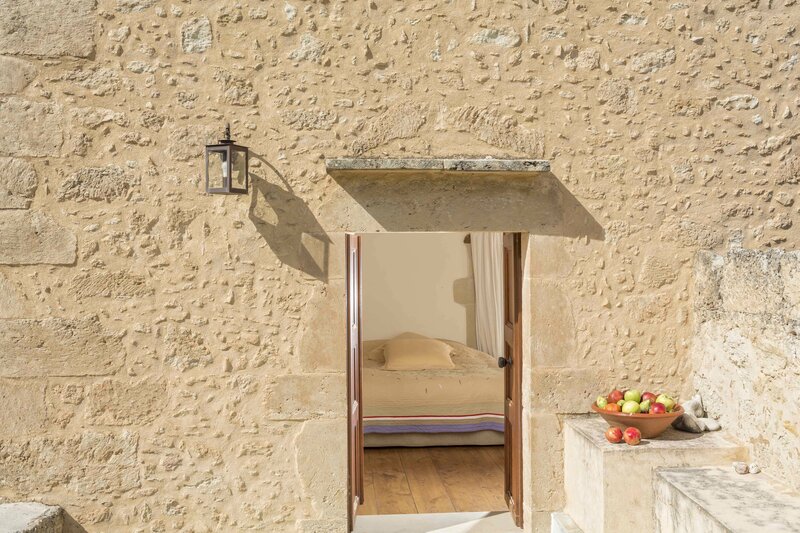 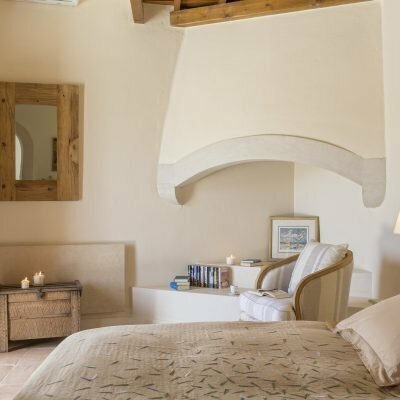 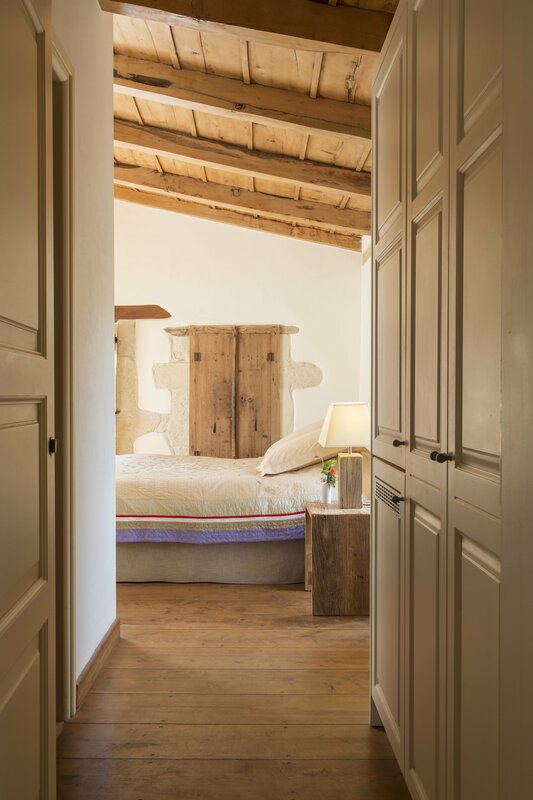 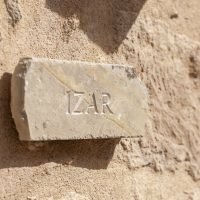 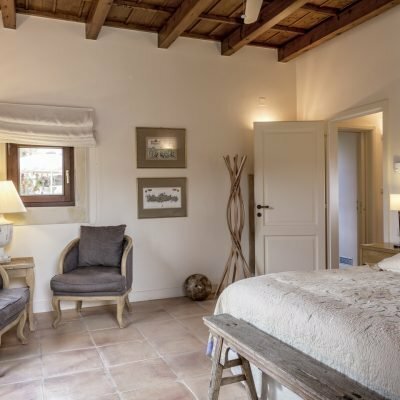 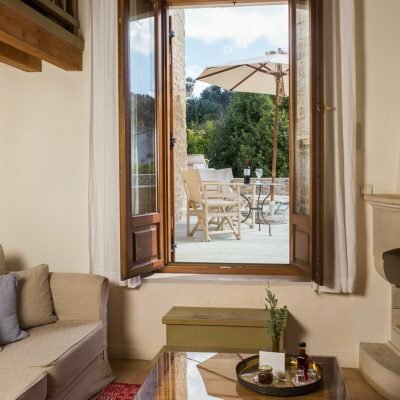 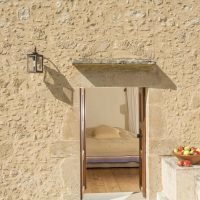 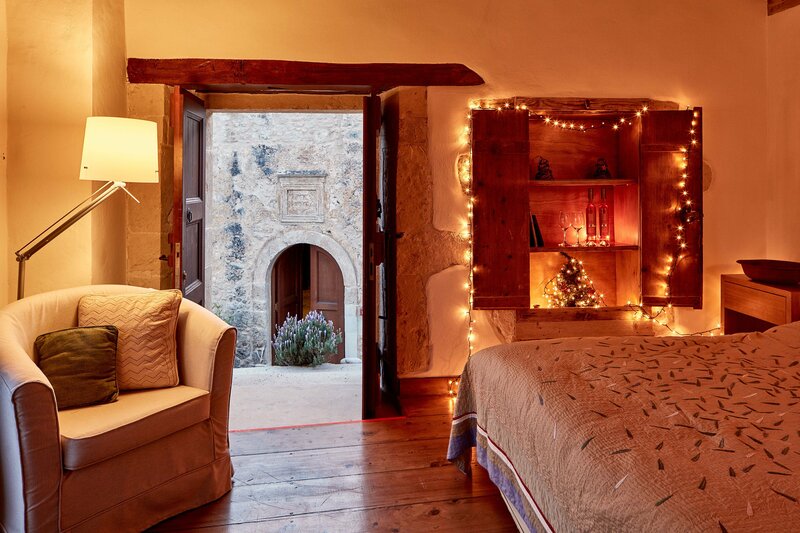 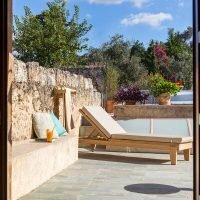 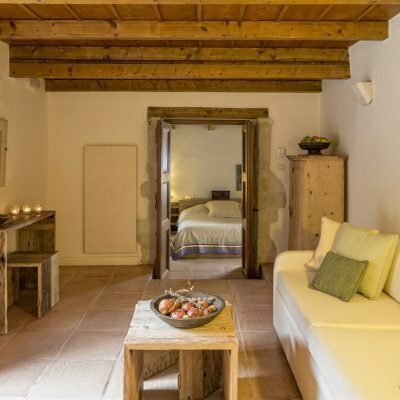 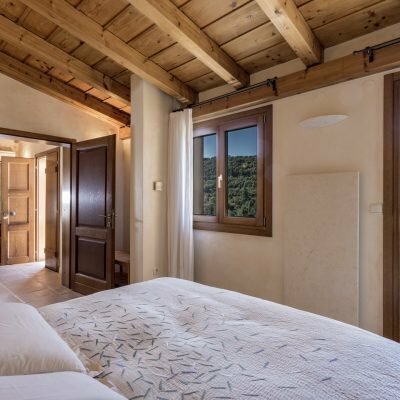 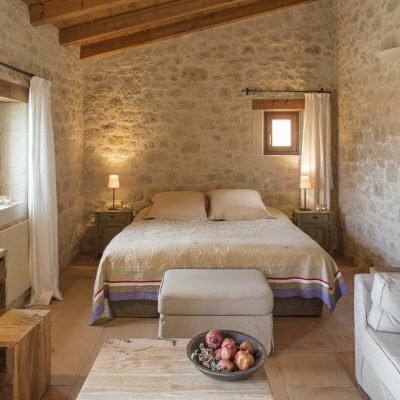 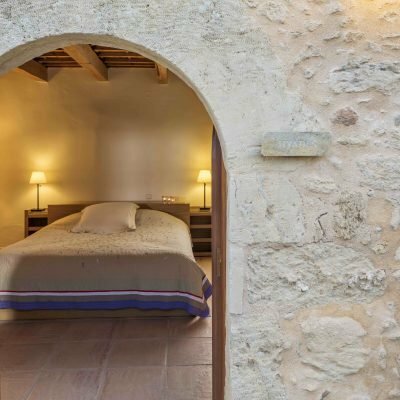 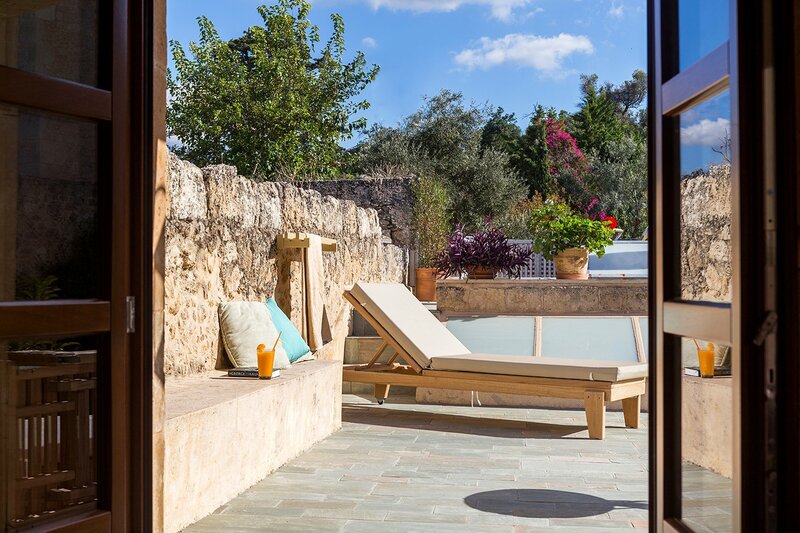 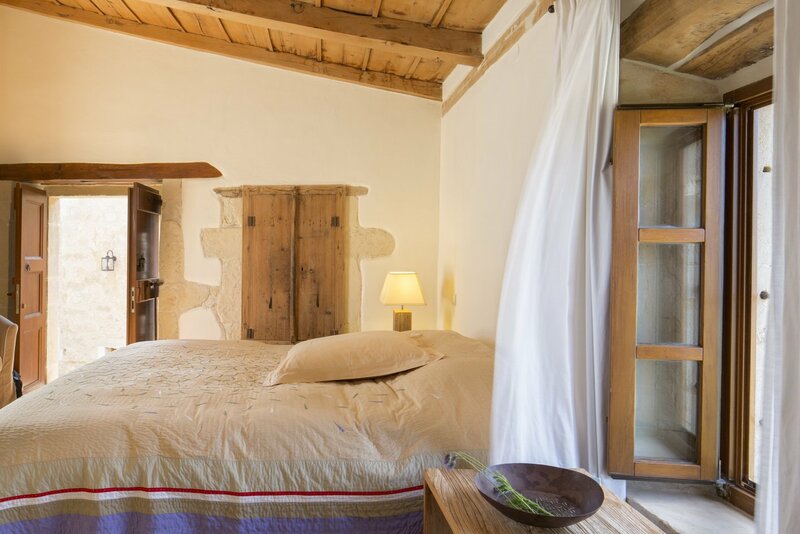 The double room “Izar” has one bedroom with double bed or 2 single beds, a fireplace and a private terrace.  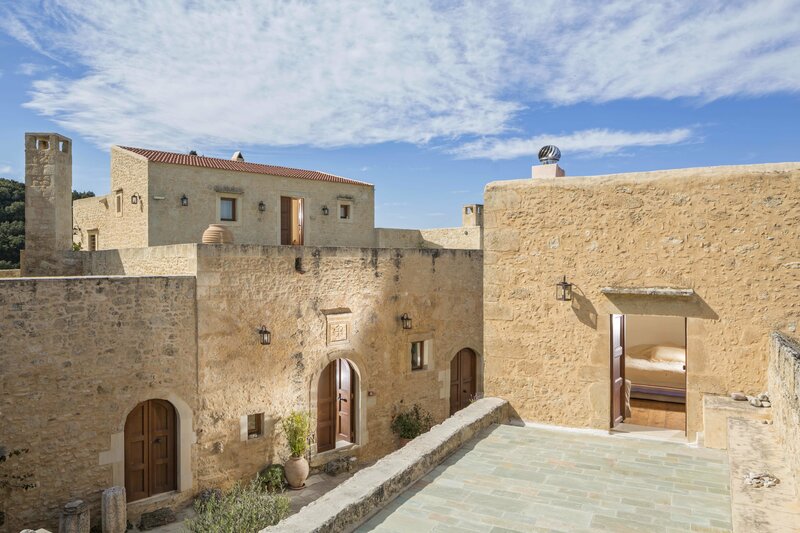 It is located on the first floor of the complex opposite of the old olive mill. 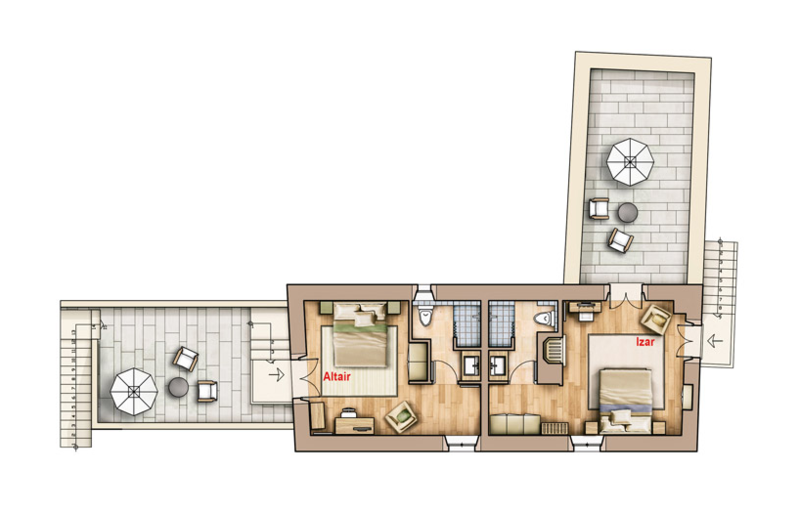 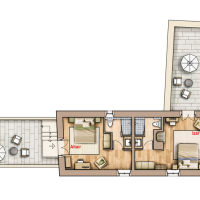 Izar can be connected with “Altair” and make a comfortable single space with 2 bedrooms, 2 bathrooms, 2 terraces and 2 separate entrances. 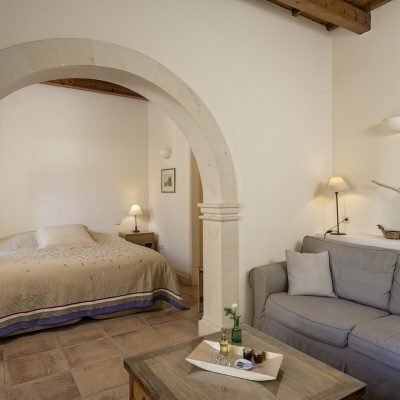 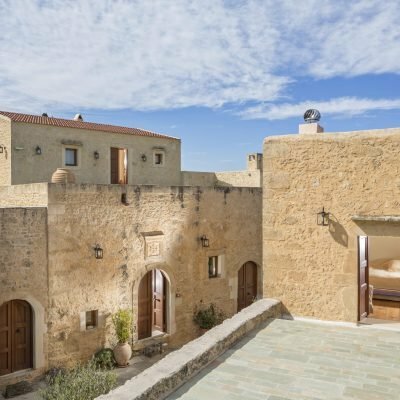 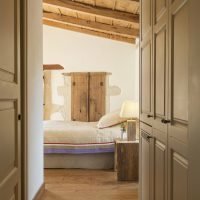 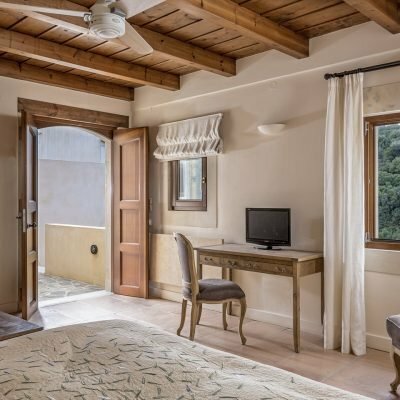 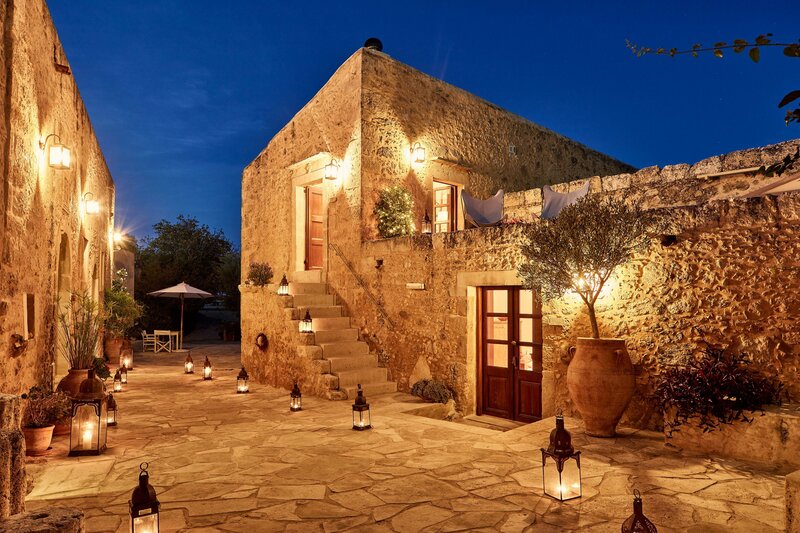 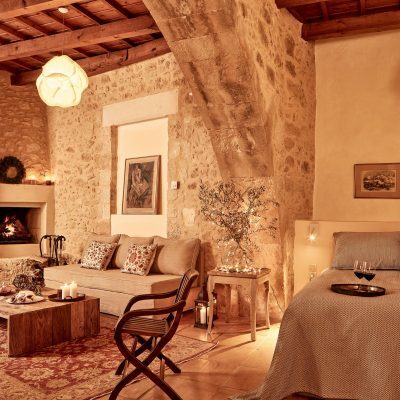 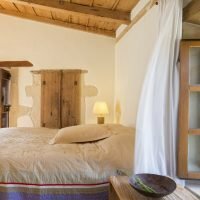 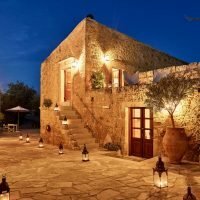 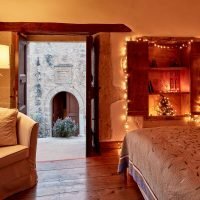 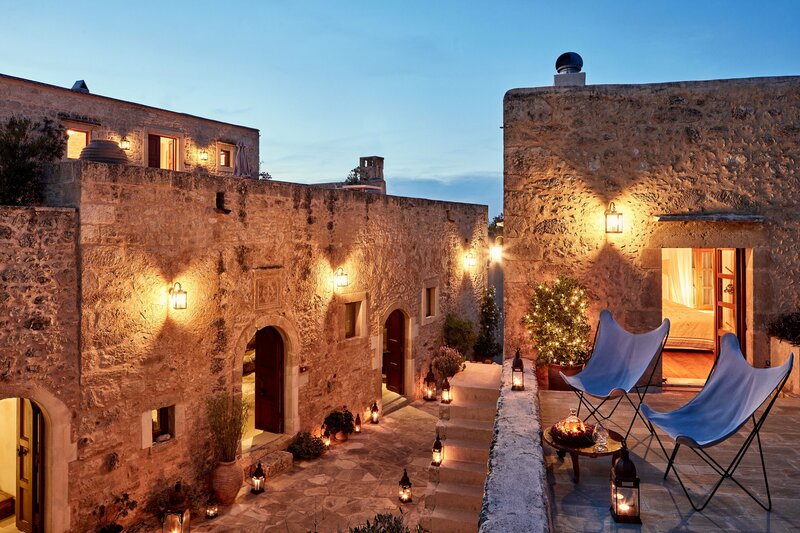 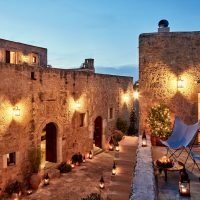 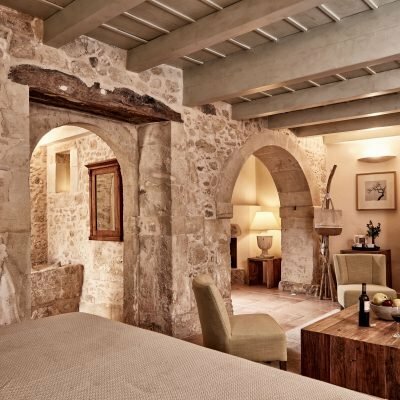 Historic Tip: During the period of operation of the olive mill, in these rooms lived the women from the surrounding villages who came to Kapsaliana for the olive harvest. 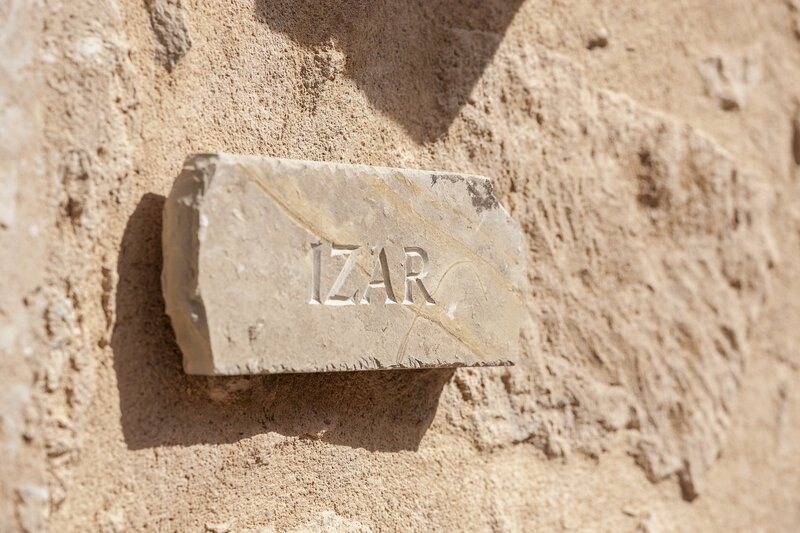 Capacity: The double Room “Izar” can host 2 adults. 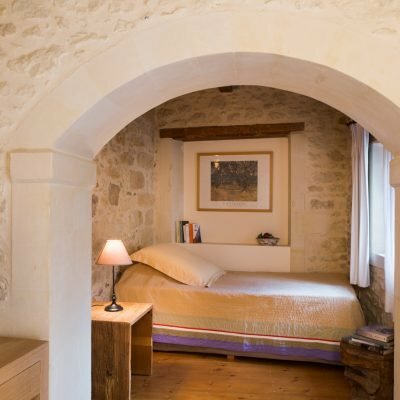 In conjunction with the double Room “Altair”, the rooms are suitable for 2 couples or for a 4-member family.